#oBikeAlert To all people affected by the flood and thunderstorm in Penang, oBike would like to express our deepest sympathy and our wishes for a speedy recovery for any injuries, and also lost/damage of belonging or properties. From 8 to 12 November, all oBike rides would be free, and no deposit is required. 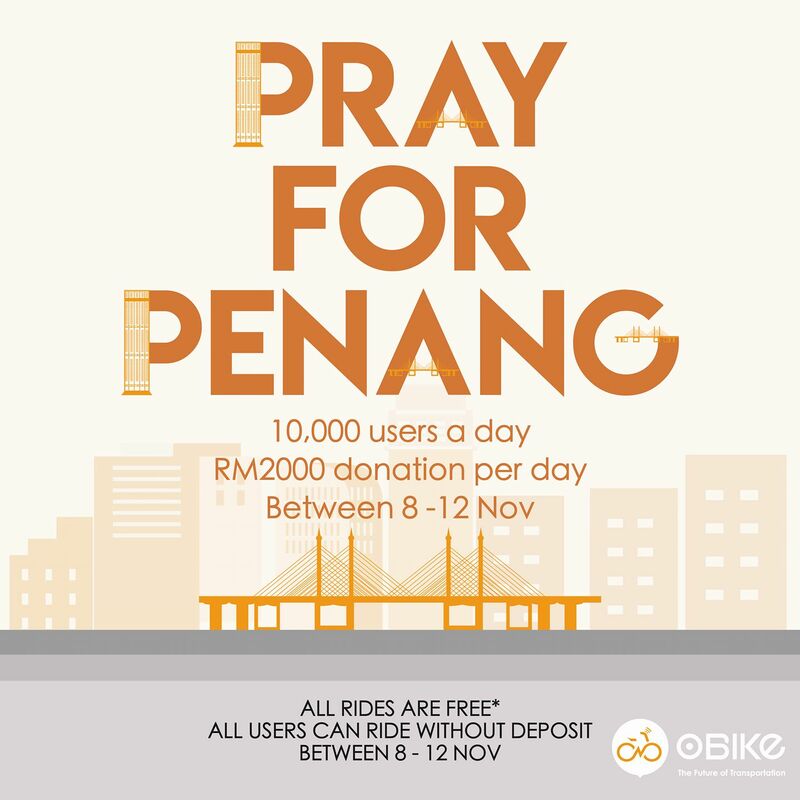 With every 10,000 oBike users completing their rides daily in Malaysia, oBike will be donating a total of RM2,000 to the Penang Storm and Flood Relief Fund, as a support to those affected. 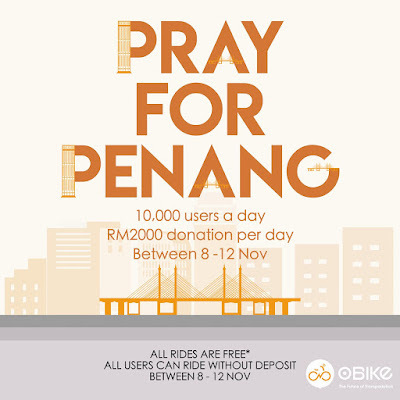 #oBike4Penang Dear oBikers, join us in our initiative, every one of your ride would help make a big difference. Every oBike ride is free for first 30 minutes. All oBike users are entitled for the free ride. No deposit required for all users. Free ride period starts 0000, 8 Nov to 2359, 12 Nov.